We provide a complete manual and automation solution for GUI, Apps, API, Volume and Performance testing with reduced maintenance. Our Quality Assurance team is very smart, provides the best verification and validation results and delivers a zero- defect product to the customer. 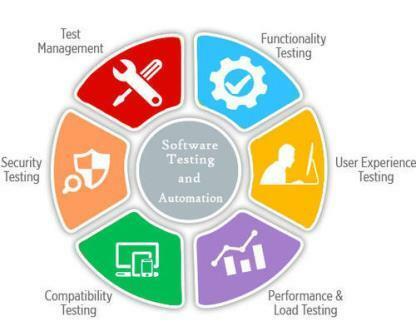 Our testing team is expertise in both manual and automated testing as some of the test cases cannot be automated. We perform testing in all significant web browsers and platforms (Windows, Mac, and Linux) and use various tools to build scripts and execute automated tests. Automation testing on the web application helps to quickly check the functionality of the application after every build. It is so helpful to the development team to refactor the code and make changes to the application. We provide a complete automation solution for GUI, API, Volume and Performance testing with reduced maintenance. We have a great team collaboration where testers can analyze, maintain, execute test cases and assist in complex and edge-case scenarios.